Those who suffer long-lasting injuries from an accident on the roads may benefit from talking to a car crash attorney for advice. 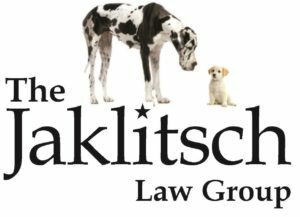 The lawyers at The Jaklitsch Law Group have extensive experience protecting the rights of car crash victims. An auto accident attorney will go over your case and let you know the best way to move ahead with your case in court. While there are countless ways you can sustain injuries in an auto accident, some are more likely to occur than others. Some of the most common causes of auto accidents are reckless driving, intoxication, distracted driving, and speeding. A car accident attorney will work to prove that the at-fault driver was negligent and caused the crash. Once the car crash attorney can prove liability, you may file a lawsuit in court. Personal injury law covers a wide variety of accident types. An auto accident lawyer, a truck accident lawyer, and a wrongful death attorney are all professionals who can help you recover money for accident-related expenses. A good attorney can make a huge difference in the case’s outcome. Whether you need a truck accident lawyer, a car accident attorney, or a wrongful death attorney our law firm can help. Contact our office today to learn what options you have under the law near Grasonville, MD.